Following 5-days of qualifying sessions the SBI Hong Kong Cup Masters took place on Thursday August 27 with 18 finalists competing over 10 matches to decide the 2015 Champion. The winner Otto Leung Yuk Fung finished strongly to scoop the title ahead of Rocky Hui, Leo Tse Chung Yin and Stanley Lau Tsz Yeung. Leung finished 5th in the qualifier sessions where players recorded their two best set scores (3-games per set) to book a place in the final shootout. Otto’s qualifier score was 1314 (703 + 611) but top of the qualifiers was Michael Tsang Pak Kei (1375), followed by Leo Tse Chung Yin (1331), Lee Kwok Wai (1327), Rocky Hui (1316). In the HK Masters Cup finals Otto had a relatively slow start scoring 208, 192, 200 (600) in the first 3-games. Several other players started better: Leo Tsz posted 217, 235 and 214 (666) in the first 3-games and Ricky Hui also posted good scores of 229, 266 and although he dropped to 189 in the 3rd game he then scored 236 in game-4. 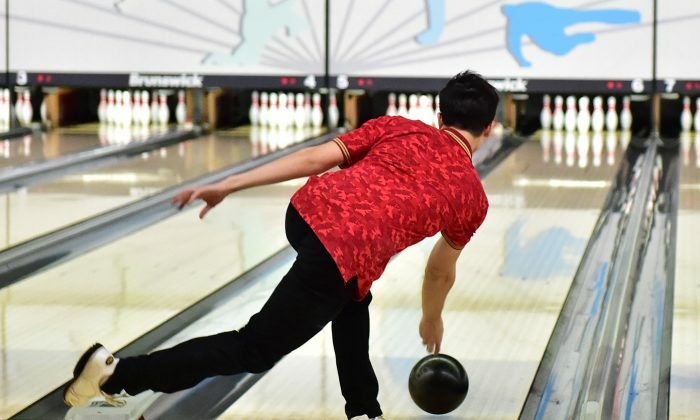 Leo Tse continued his good play scoring 256, and 249 in his next two games but except for a 218 in game-7 his bowling performance dropped in the second half of the competition. Leung got in tune with the rinks in games 4, 5 and 6 with 236, 246, 246 and although he dropped to 192 in game-7, he hit back straight away with 239, 204 and a final game of 278 to take the title. In the final game He just missed a full house by posting a spare instead of a strike in the second hand and he also missed the strike, scoring 8 with his final bowl – impressive bowling. Leung now 19 years old is an ex-Hong Kong U18 International so is well accustomed to top competitive play. He told Epoch Times that he has been playing 6-years and in this game he just focussed on the delivery of each bowl and finally he made it. This win gives him a straight entry into the Open Masters Finals this coming weekend. He said his fingers were sore from all the bowling so perhaps he will ease off tomorrow awaiting the next big test. 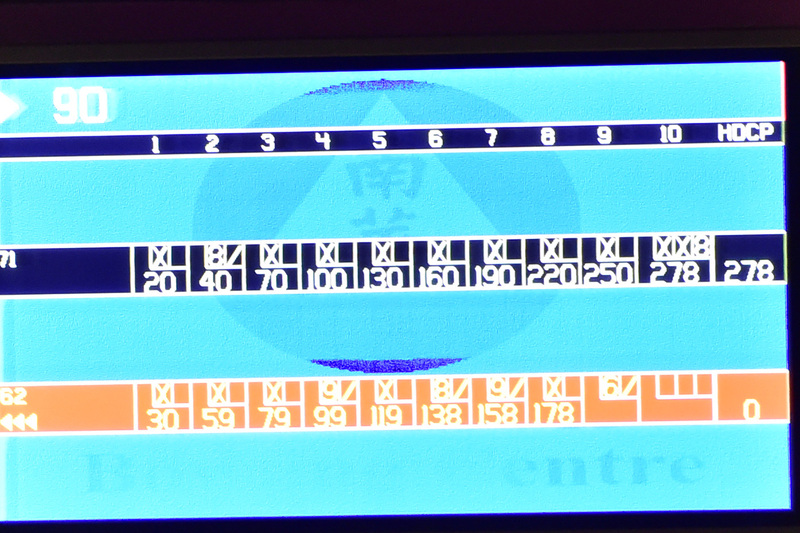 Leung was 169 pins ahead at the end of the competition with a total of 2241 against Rocky Hui’s 2072, Leo Tse’s 2067 and Stanley Lau’s 2054. The qualifiers for the other Master’s finals are still ongoing. The Senior Masters Finals and the U18 Masters Finals take place tomorrow, Friday August 28. All other Finals are scheduled for Saturday and Sunday August 29 and 30.